Bell peppers are the most common variety of sweet pepper commercially available and are known for their characteristic bell shape. They come in a range of stunning colors such as green, yellow, red, purple, orange, and brown; their mild, sweet flavor and juicy flesh make them a staple ingredient in many culinary dishes and salads. 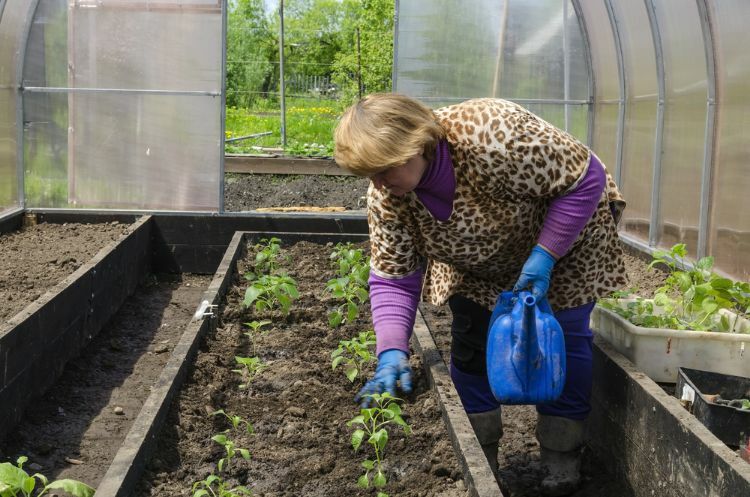 Because of this, almost half of all home gardeners plant some variety of sweet peppers in their vegetable gardens. 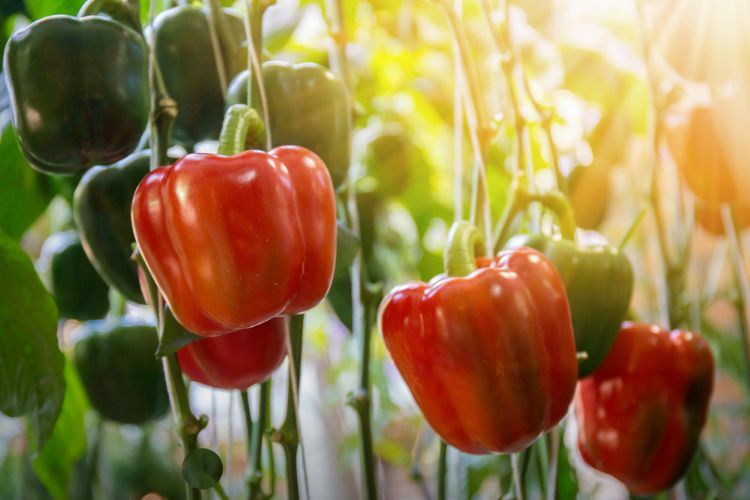 Thankfully, bell peppers are quite easy to grow using the following tips and take up little space in the garden compared to plants such as tomatoes or cucumbers. They can even be grown in containers if you're short on real estate or are only working with a patio or deck. Bell peppers can easily be grown from seed, started either indoors or sown directly into the soil if conditions permit. If you live in an area that experiences cold winters start seeds inside 6-8 weeks before the last predicted frost for your climate zone. Plant 2-3 seeds per container and thin out the weaker seedlings after a couple of weeks. Pepper plants need outside temperatures to be a steady 70 degrees or warmer, to flourish. When your ambient temps hit this mark, move your seedlings outside. Plant them about 24" apart. This gives me ample space to grow but puts them close enough together to help shade each other in the hottest sun. Choose planting spots with nutrient rich, well-drained soil. 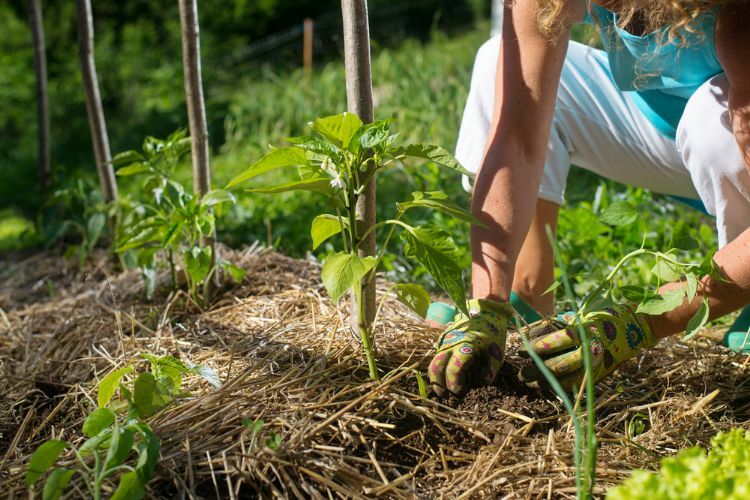 Mulching around your garden plants is a beneficial step that many people often overlook. 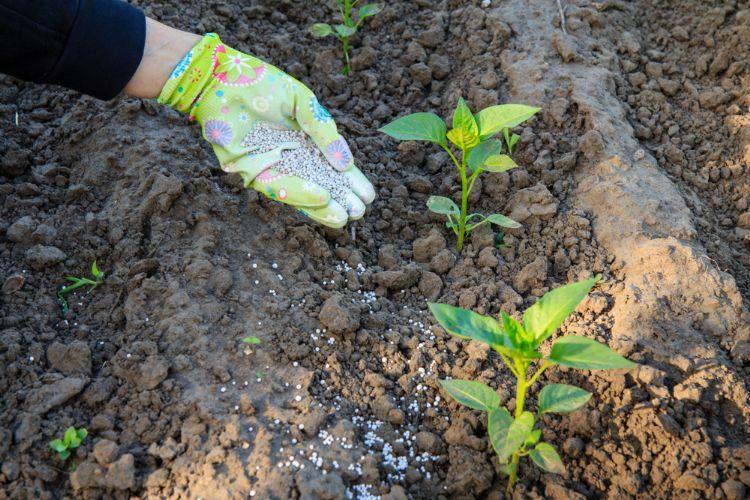 A thick layer of mulch over the soil surface will help to keep weeds down, retain soil moisture, and keep the soil cooler over the roots. You can use commercial bark chips, pine needles, grass clippings, or even straw as suitable mulch. 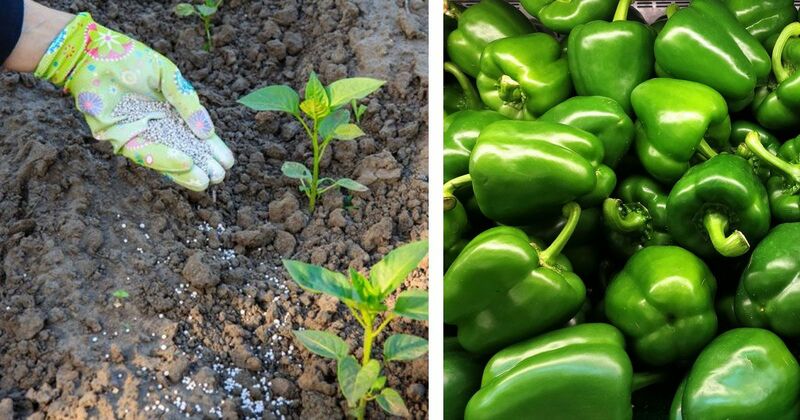 Per Bonnie Plants, your pepper plants will need 1-2" of water per week for maximum growth. This may need to be increased slightly when the weather is extremely hot and dry. Water at the base of the plant to avoid saturating the foliage. 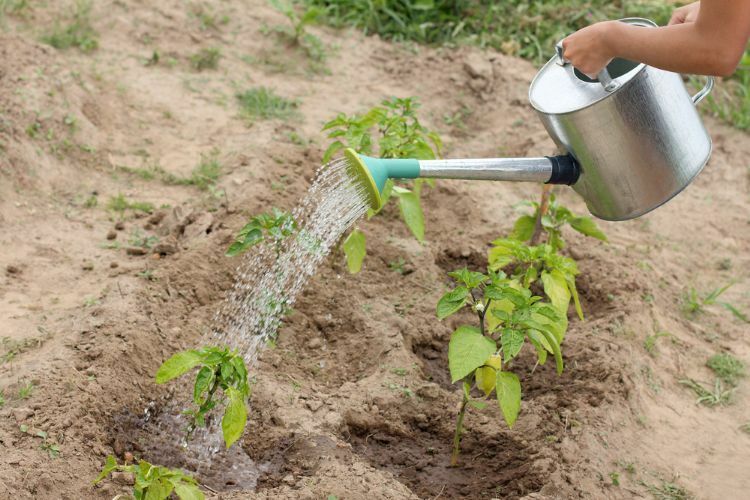 For optimum plant growth, your bell peppers will need to be fed to replenish nutrients lost from the soil. 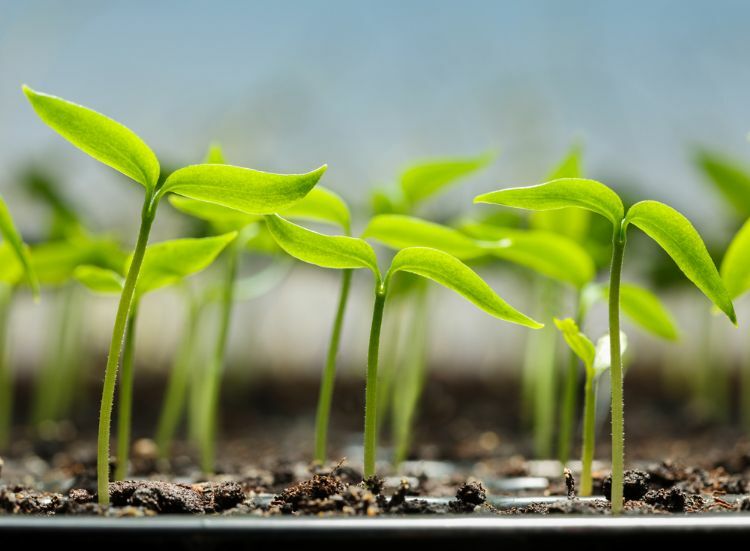 Wait until the plants blossom before fertilizing them to encourage fruit production; fertilizer applications prior to this will promote vegetative growth instead of blossom formation. Insect pests can cause a significant amount of damage once they infest a vegetable crop. 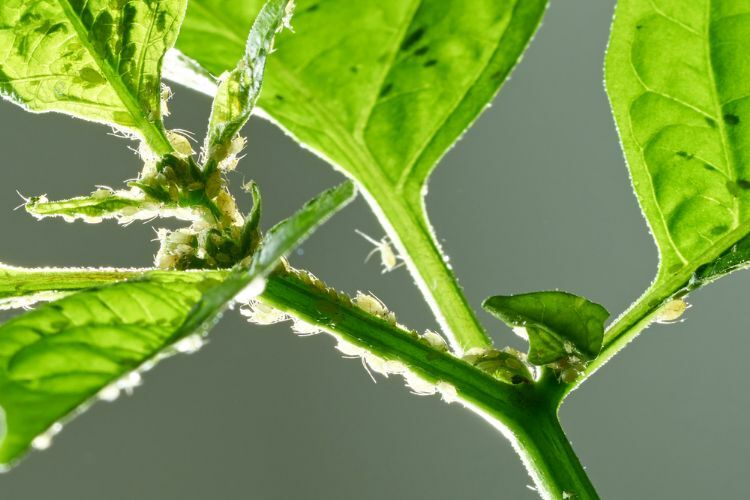 Keep a close eye on your bell peppers to spot infestations quickly. Early treatment can help minimize damage and resulting yield loss. Common pests in bell peppers are blister beetles, aphids, cutworms, mites, pepper weevils, and thrips. Your local garden center can help identify pests and recommend appropriate treatment options. Peppers are ready to harvest when they reach the size and color you'd like. A great part about bell peppers is you can harvest them even before the fruit is fully matured! Random fact: green bell peppers are immature red, orange, yellow or purple bell peppers. When harvesting the fruit from the pepper plants it's better to cut the stem 1-2" above the stem instead of pulling the fruit off to avoid damaging both the plant and the fruit.